System.out.println(" - " + bucket.getName() +" "
System.out.println(" --- " + objectSummary.getKey() +" "
+ "(size = " + objectSummary.getSize() + ")" +" "
System.out.println("Caught an AmazonClientException, which means the client encountered "
To my positive surprise he found a great solution for the limitation of the security audit provider. He discovered a way to configure WebLogic server to send a notification when it’s configuration is changed [Knowledge Base ID 1377733.1]. Which is awesome if you have a large Oracle environment and maintenance team and want to keep track of all the changes. Wish we knew this last year at the huge envuironment I was working then. 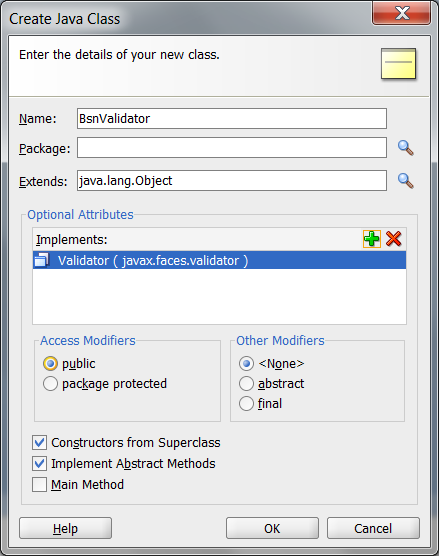 So let’s start with creating a custom Validator in our ADF project. This is excellent documented by Mohammed Jabr on his blog. 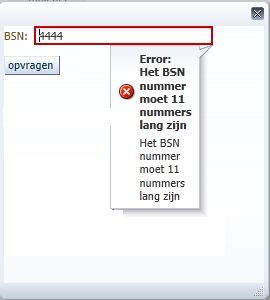 Configure the inputText to use the custom validator.